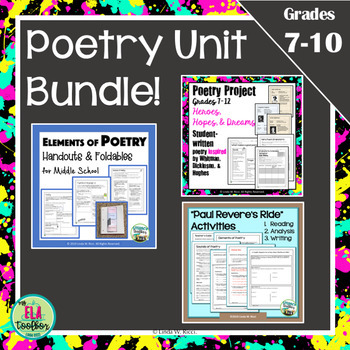 Middle School Poetry Unit Bundle! 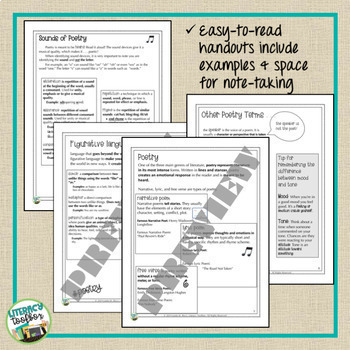 A fun, engaging poetry unit on the elements of poetry and Longfellow, Whitman, Dickinson, and Hughes. 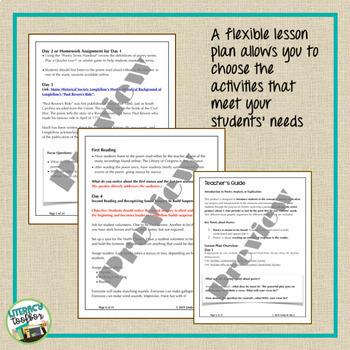 From foldables on the Elements of Poetry, to engaging "Paul Revere's Ride" activities, this poetry unit culminates in a project parents will treasure. Follow my store for new product updates and special offers!